Demon Hunter is a free mystery game app for Windows 8 and 8.1 devices which allows you to find clues and investigate a murder. When you install and run the game on your device, you will be presented with a brief video about the game which will give you a brief idea of the game. The video has been detailed to have great cinematic effects to it and once you’ve skipped it, you will be taken to the main menu of the game where you will be asked to enter your name with which your player profile will be created. Upon creation of your profile, you’ll be able to select the game type that you wish to play by clicking on the New Game button. Next, you’ll be able to choose the difficulty level of the game and finally you’ll be taken to the gameplay interface itself. Demon Hunter is available for free from the Windows App Store. When you install and run Demon Hunter on your device, you will be presented with a screen which looks like the screenshot below. 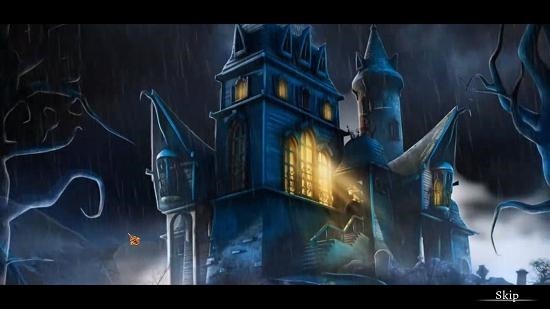 The above screen is of the game’s video which has nice sound and cinematic effects to it. You can choose to either watch the video or skip it via the Skip button at the bottom right of the screen. Once the video has been completed or skipped, you will be shown the main menu of the game itself. 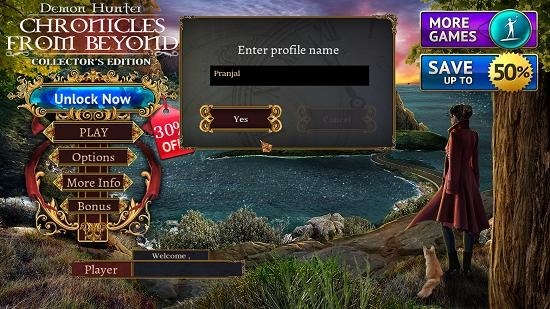 In the above screen, you will be asked to enter your name and the game creates your profile with this name that you enter. 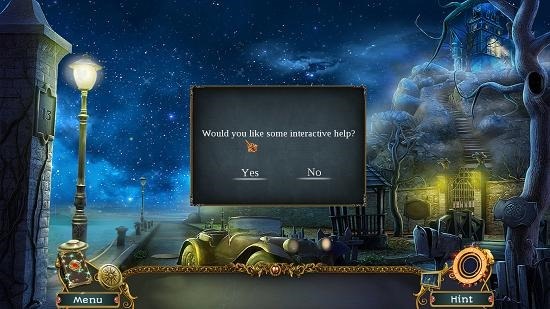 Once you have entered your name and clicked on the Yes button, you will be able to interact with the main menu of the game right behind the player name field. Now, click on the Play button, and you’ll be presented with the difficulty selection screen of the game. This can be seen in the screenshot below. Upon selecting the difficulty level of the game, you will be brought to the gameplay interface itself. The first thing which follows is a prompt which asks you whether or not you wish to access the tutorial of the game. If you choose to access the tutorial of the game, what follows is a series of actions which details you on how you have to play the game itself. 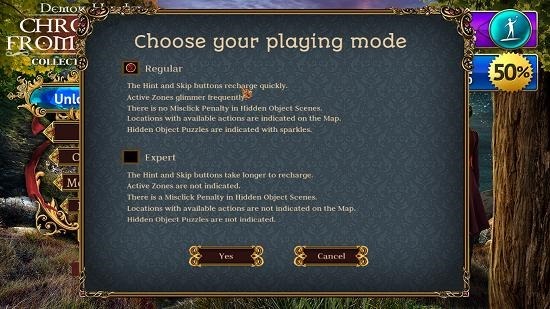 A screenshot from the tutorial screen is shown below. The game’s inventory is visible at the bottom of the screen. This is where the things that you collect from the map go. You can access the diary of the game by clicking on the Diary icon at the bottom left corner of the screen. 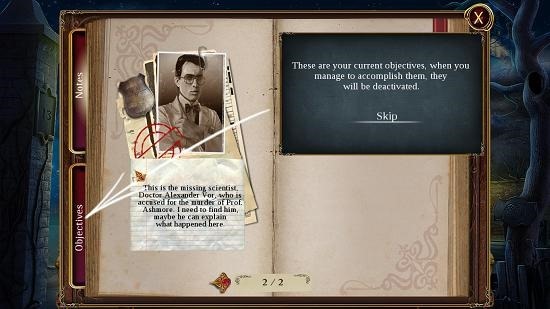 The diary allows you to view the objectives or access notes which will aid you in your investigation. 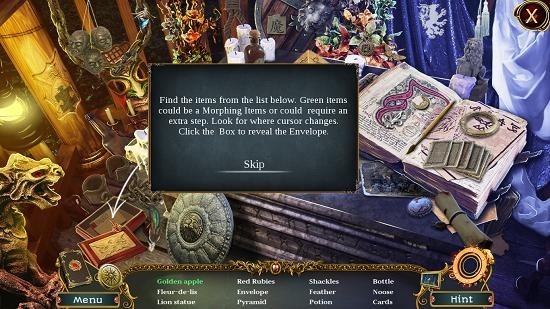 The game is full of hidden object levels as well which lead to certain important clues that help you in the revelation of the mystery. 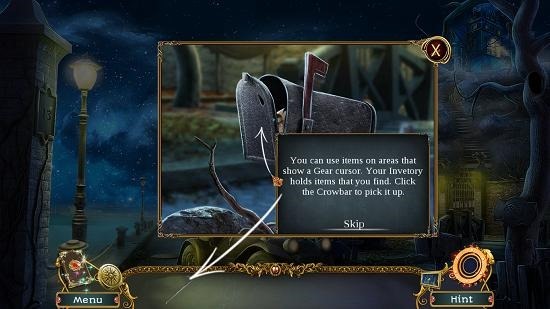 The hidden object levels look like the screenshot below, and here you have to find the objects in the scene which are listed at the bottom of the screen. 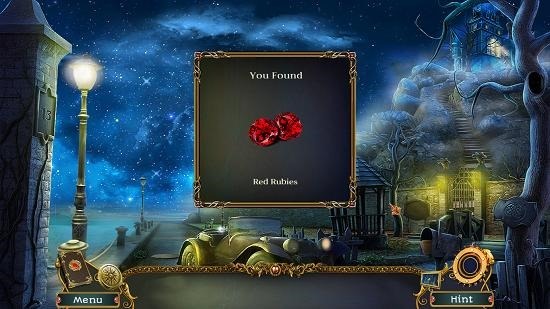 Upon completion of the level, you’ll be given your reward, which may be a clue or an object to aid you in your investigation. This is a wrap of the main features of the Demon Hunter game for Windows 8 and 8.1. Demon Hunter makes for a great download for devices running Windows 8 or 8.1. You can grab it for free from the link below.